Blaylock Discussion Forums - New Blaylock Novel!!!!!!!!!! Blaylock Discussion Forums › General Discussions Topics › The News › New Blaylock Novel!!!!!!!!!! Just before Christmas there’s a new James Blaylock novel AND Small Beer are doing a cool Joan Aiken collection. I was sitting at my desk in a real funk, and both of those pieces of news made me feel immeasurably better. It’s been 11 years, I think, since Blaylock’s last novel and now comes Knights of the Cornerstone from Ace in November. Color me very happy. Damn good news! The Long Wait Is Coming To An End! This is probably that Knight Templars related book that Blaylock mentioned he was working on back in 2006. On the upside, there's probably been sufficient time passed since Da Vinci Code for this to not get eclipsed during that craze. I keep checking Amazon to make sure it isn't some kind of mistake. I hope the book does well, as I hope that would encourage this publisher, or another, to pick up the Zeuglodon book as well. One can hope, no? Meanwhile, Narbondo has met his demise, somewhere in a dark Scandinavian lake. Or has he? Preordered it - man, the end of the year will put two Blaylock books in my hand and one of them is BRAND NEW! Woohoo! Very exciting! 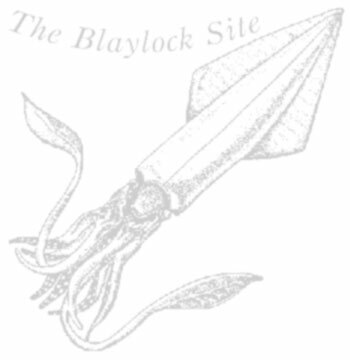 Once again I'm grateful that we still have a great place for Blaylock news and discussion.